Four races will be decided today to determine who will sit on the Agua Special Utility District board of directors. 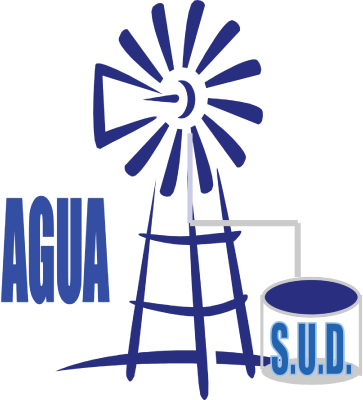 Most of the candidates fall on either the Team Agua SUD slate or the Agua SUD F1rst slate, which is backed by Team L1berty, the prominent political group in western Hidalgo County. In three of the races, current board directors are hoping to be re-elected. The fourth race involves two newcomers vying for a newly created position — a director for La Joya. The position was previously a countywide position, but a bill passed last year in the state legislature mandated the seat now represent the city of La Joya on the board. Candidates for the new La Joya seat are Agua SUD F1rst candidate Adolfo Arriaga, the La Joya police chief, and Juan Jose “J.J.” Luna Jr., a union representative for the La Joya American Federation of Teachers running on Team Agua SUD. Current Penitas director Loyd Loya, of the Agua SUD F1rst slate, is facing two opponents, Juan Gonzalez, a sergeant with the Pharr Police Department who is running on Team Agua SUD, and Noe Garza Jr., who is running independently. Ivan Sandoval, a teacher at HOPE Academy in La Joya, is running to remain on the board after he was appointed to it in November. Sandoval was selected to replace Francisco “Pancho” Flores, who was removed for failing to attend more than half of the regularly scheduled meetings. Sandoval, running on the Agua SUD F1rst slate, will be running against Julian Peña, a Team Agua SUD candidate who works in construction. However, questions surround his occupation after Sandoval filed a complaint requesting that Peña be removed from the ballot. Sandoval claimed Peña worked as a developer, a violation of the Texas Water Code. Peña denied the claim even though he, at one point, listed himself as the owner of JP Developers LLC on his Facebook page. Peña later removed the company from his page, saying the company was never registered and did not exist. In the Mission race, incumbent Cesar Rodriguez Jr., of the Agua SUD F1rst slate, is running against Eric Sanchez, a businessman. More than 1,700 people early voted in the Agua SUD elections, according to the Hidalgo County Elections Department. The polls will be open from 7 a.m. to 7 p.m. today.